Rugs in busy areas experience a lot of stress. As people and pets use them, dust, ashes, dirt, oils, and odors get trapped in the rug’s fibers – and this is usually brought about by foot traffic and spills amongst other things. 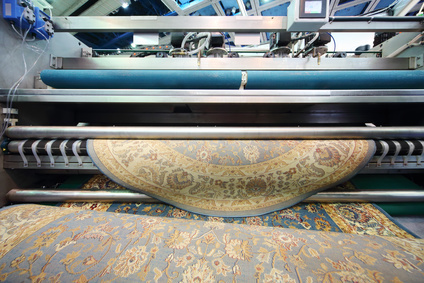 When not dealt with in a timely manner, these things could lead to the rug losing its luster while shortening the rug's lifespan as the accumulation of dirt and dust at the rug's base causes friction that affects the fibers. However, surface rugs can last much longer if they are maintained and cleaned on a regular basis. We are a company that offers professional rug cleaning services and can be of great help to you. Do you have a nasty spaghetti, wine or coffee spill on your rug that just won’t come off? There is no need to worry. We can help restore your rug. While containing the spill by blotting over the affected area with a clean towel helps, it is advisable that you avoid cleaning the rug yourself. Most of the cleaning products you find in stores contain very harsh chemicals that will only damage your rug’s fibers. Never, under any circumstance, apply water over stains as it could cause the stain to spread even further. At the same time, this could cause the dyes used to color the rug to bleed. At the end of the day, this will result in a badly discolored rug with an even higher likelihood of the floor under the rug getting damaged too. As a dependable company, we provide professional cleaning services that make cleaning rugs and getting rid of stains much easier for you. As experts at what we do, we use different cleaning methods like color testing to ensure that your rug’s dyes don’t bleed out during cleaning. When it comes to cleaning rugs, we employ a 10-step process to ensure that your rug gets a deep and thorough cleaning. All our specialists have received advanced training. As such, you can always count on us to clean and restore your rug. At the same time, we offer hypoallergenic and non-toxic cleaning options with the main aim of allowing our clients to use our services without having to worry about their safety or that of their loved ones and pets. We also offer repair, restoration and cleaning services for unique rugs and carpets. 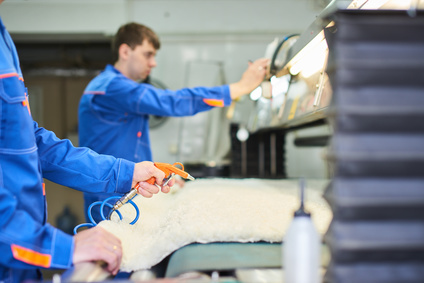 We consider the kind of rug or carpet you have to determine the restoration and cleaning technique to use – we can restore and clean rugs and carpets made from sheepskin, silk, wool, and even cowhide. We also accept Central Asian rugs, Persian rugs, Caucasian rugs, Anatolian rugs, East Turkestan rugs, Tibetan rugs, Chinese rugs, and Kurdish rugs. As earlier mentioned, all our rug cleaners are certified professionals, meaning that they can identify different types of materials, fibers, and rugs to choose the most appropriate cleaning method. Because we intend to provide professional solutions, we have invested in some of the best cleaning equipment on the market. 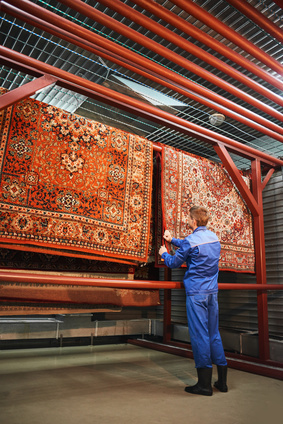 Our facility has all the cleaning equipment our specialists require to restore almost any type of rug. Get in touch with us today for free inspection and estimate. And the great thing is that when you choose us to clean your rug, we will pick it up from you for free.